In May 2014, Wealth Solutions, thanks to its partnership with Gordon & MacPhail, was proud to present to the public one of the world’s oldest whisky. The beverage was produced in 1948 within the walls of the Glen Grant distillery then matured in a sherry cask no 1369 and bottled after 66 years by Gordon & MacPhail. 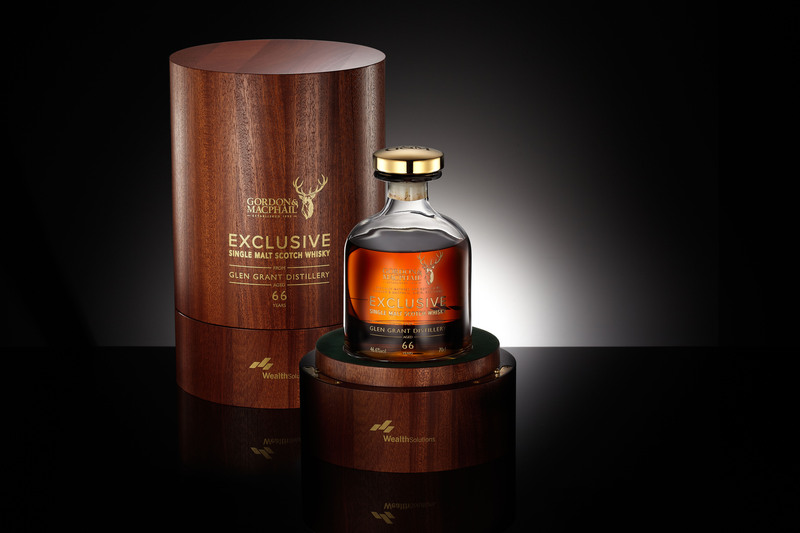 Each decanter of this whisky is numbered and comes with a special mahogany box. Another feature of this collector’s edition is a book written by Charles MacLean, published especially for the occasion. Only three years after the end of the World War II and in the year when the Marshall Plan was in effect, cask number 1369 was filled with a fresh distillate. The world faced great transformation; borders, governments and political blocks changed while Glen Grant whisky was aging and gaining its unique aroma and flavour from a cask previously filled with sherry. Today, the golden liquid form was poured – thanks to Gordon & MacPhail – into a mere 160 bottles for collectors and whisky enthusiasts to enjoy. 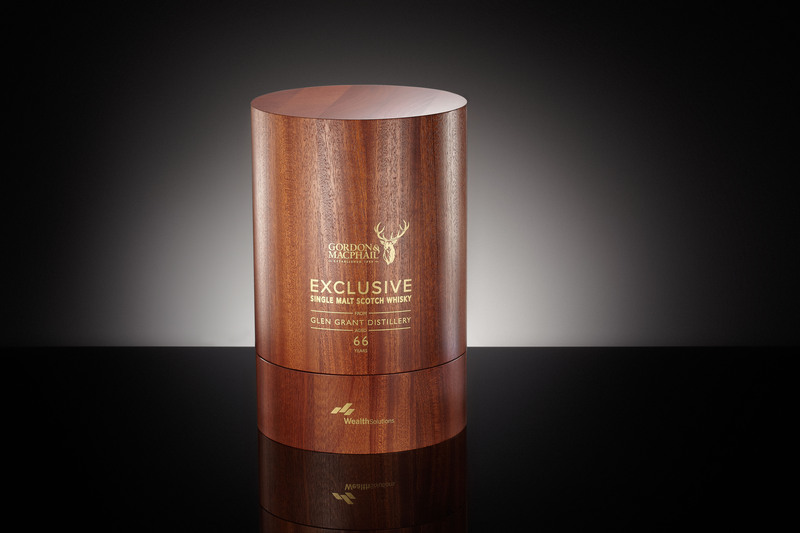 A limited edition of the oldest whisky from Glen Grant distillery and one of the oldest whiskies in the world requires unique packaging. As the whisky was introduced to the market, Charles MacLean, one of the world’s biggest authorities on whisky, has prepared a special study on the distillery and the project. 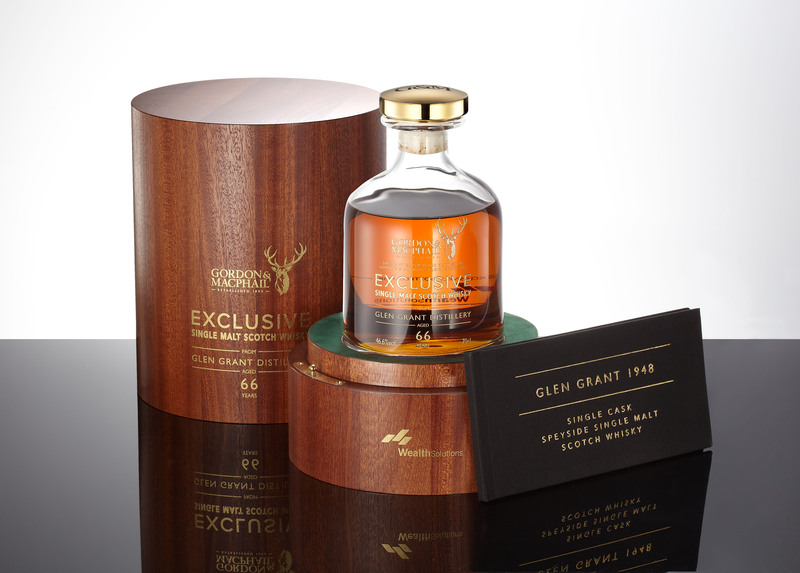 Each of the numbered Glen Grant 1948 66 YO bottles is accompanied by his book and a specially designed oak case. 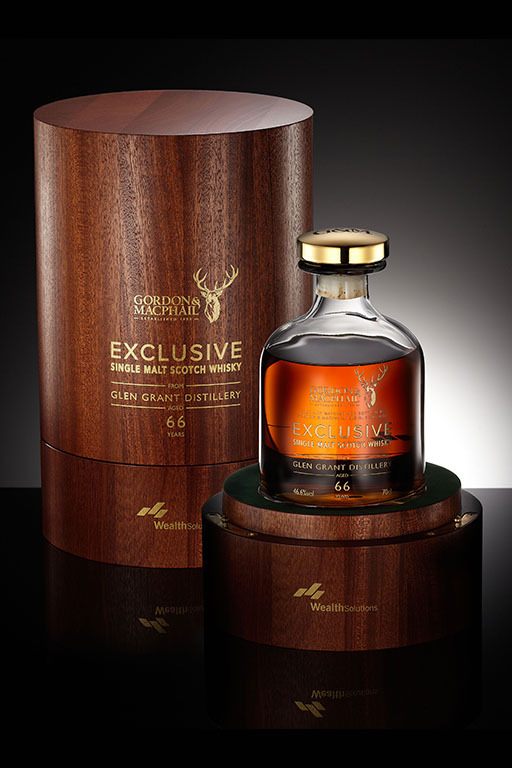 The uniqueness, limited number, age and exclusive packaging make the Glen Grant 1948 66 YO whisky a unique collector’s item and a good capital investment. Charles MacLean is a writer and critic specialising in Scotch whisky. His body of work includes more than ten books on whisky, including some of the most important books in the entire industry – Malt Whisky and World Whisky. He is a member of the International Wines & Spirits Competition jury and the Society of Antiquaries of Scotland. He also acts as an advisor, for example for Bonhams auction house. In 1840, in the town of Rothes near Aberlour, brothers John and James Grant founded a distillery which they named Glen Grant, or “the valley of the Grants”. Its location near the River Spey offered ideal conditions for whisky production. The quality of the place is confirmed by the fact that until today Speyside boasts the biggest cluster of distilleries in Scotland. Many representatives of the Grant family, as well as whisky bottles they produced, have become legends. Over more than 170 years, the distillery has also become part of the regional landscape. In its honour, one of the first train engines in Scotland was named Glen Grant, just as was one of the pieces composed by the famous Scottish musician Scott Skinner. The distillery was also the country’s the first whisky plant powered by electricity. Currently, it ranks as one the largest whiskey makers in Great Britain. Gordon & MacPhail is a living piece of Scottish history and tradition. This family business has been bottling single malt whisky for more than 120 years now. The company was founded by James Gordon and John MacPhail in 1895. Soon the start of its operation, the management board was joined by John Urquhart. His descendants have transformed the company into the largest independent bottler, producer and distributor of Scottish whisky in the world. Currently, the company is managed by the fourth generation of the Urquhart family. In its warehouses, the company stores old casks that are not easily found in other distilleries. It boasts introducing to the market the oldest whiskies on record – Morlach 70 YO, Glenlivet 70 YO and Mortlach 75 YO. Gordon & MacPhail bottles Scotch produced by over 70 various makers and keeps winning, year after year, numerous industry awards recognizing the way it runs its business. Queen Elizabeth II has awarded the company for promoting whisky and selling it outside the United Kingdom.